Just because you are a vegan doesn’t mean you will end up dating a vegan. In more cases than not, you could end up dating or being married to an omnivore. As vegans are currently only 1% of the world’s population, holding out the hope of meeting a vegan soulmate will reduce the likelihood of being with anybody at all. Even if you do find a vegan to date, it doesn’t guarantee you are going to have anything other than your veganism to talk about. Chances are, when you went vegan you were in some type of relationship. 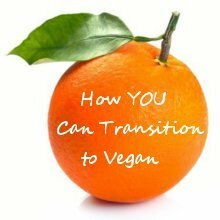 Awakening to veganism is a very personal journey, and you are not always lucky enough to have your partner come along for the ride with you. Thus begins a rocky road of accusations and arguments. In a way, it almost feels like betrayal; that your paths have parted, and your lover refuses to follow the one you have chosen. Your partner will feel the same way. After all, you are the one who has changed, not them. However, if you manage to brave the storm and stay together, it is probably because you have realised that no matter how much you want to, you are not able to change somebody else. They should be permitted to make their own life choices, and no amount of emotional outbursts are going to make them go vegan. If you are happy in your relationship in every other way, and respect each other, then living with a non-vegan is possible. The only way to achieve this is through compromise. We should never allow ourselves to be bullied by our partners into eating food that we don’t want to. This applies to both the vegan and non-vegan in the relationship. If you truly love each other, then your partner should be supportive of your choices. 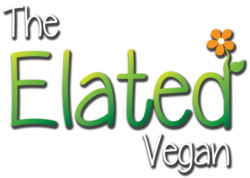 There are very few vegans who will tolerate meat, dairy or eggs in their home, but allowing your partner to eat what they want to eat when they are not in your company, seems to work the best for both parties. With Mel from ‘Simple Vegan Cooking’.